Temakveld med praktisk tilnærming der vi viser frem og eksperimenterer med utstyr for digitalt samband, der i blant SharkRF openSPOT som er et utrolig tøft produkt. Vi har med diverse radioer for å teste både Fusion, DMR og D-STAR. Ta gjerne med egen håndholdt om den støtter en av disse. Vi kan utveksle erfaringer fra forskjellige produkter. Vi tilpasser innhold og hva vi gjør etter hvem som dukker opp og hva det er mest interesse for. Til nye radioamatører som ikke har vært borti dette forklarer vi hva hotspot er for noe, forskjellige bruksområder, de forskjellige standarder osv. 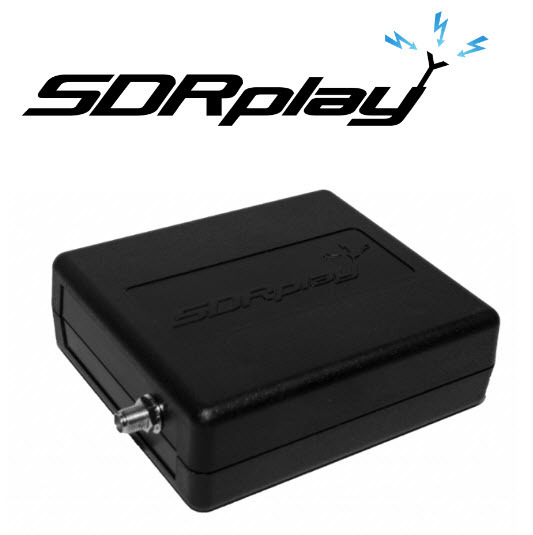 Dette kan være veldig aktuelt for nye radioamatører som ikke har så gode muligheter for HF antenner osv. Senere er det planlagt et foredrag med mer teoretisk tilnærming og presentasjon av stoffet. Hva er WSJT / JT65? For other uses, see Pratt & Whitney JT9D. WSJT is a computer program used for weak-signal radio communication between amateur radio operators. The program was initially written by Joe Taylor, K1JT, but is now open source and is developed by a small team. The digital signal processing techniques in WSJT make it substantially easier for amateur radio operators to employ esoteric propagation modes, such as high speed meteor scatter and moonbounce. WSJT was originally released in 2001 and has undergone several major revisions. Communication modes have been both added and removed from the software over the course of its development. Since 2005, the software has been released as open source software under the GNU General Public License. This licensing change required substantial rewrites and took several months to complete. Although Joe Taylor was the original developer (and still acts as maintainer), several programmers are currently involved in writing the software. Currently, the program is written in Python and C, with several utilities written in Fortran. WSJT versions up through 7.06 r1933 (referred to as colloquially as WSJT7) and earlier were aggregations of previous versions, and as such WSJT7 contained 16 different modes (FSK441, JT6M, JT65 variants A - C, JT2, JT4 variants A - G, WSPR, and a preview of JT64A). As of version 8.0 (referred to as colloquially as WSJT8) the available modes changed completely such that WSJT8 now offers 5 different modes (JTMS, ISCAT, JT64A, JT8, and Echo) -- none of which are back-compatible with WSJT7 or earlier releases. This backwards-incompatibility includes JT64A, such that the preview release of JT64A in WSJT7 cannot communicate with the stable release of JT64A in WSJT8. As of May 2018, the latest WSJT version is WSJT10. The software carries a general emphasis on weak-signal operation and advanced DSP techniques; however, the communication modes rely upon different ionospheric propagation modes and may be used on many different bands. FSK441, introduced in 2001 as the first communications mode included with WSJT, is designed to support communication using streaks of radio-reflecting ions created in the ionosphere by the trails of meteors entering the Earth's atmosphere. The bursts of signal created by such trails are commonly referred to as “pings”, due to their characteristic sound. 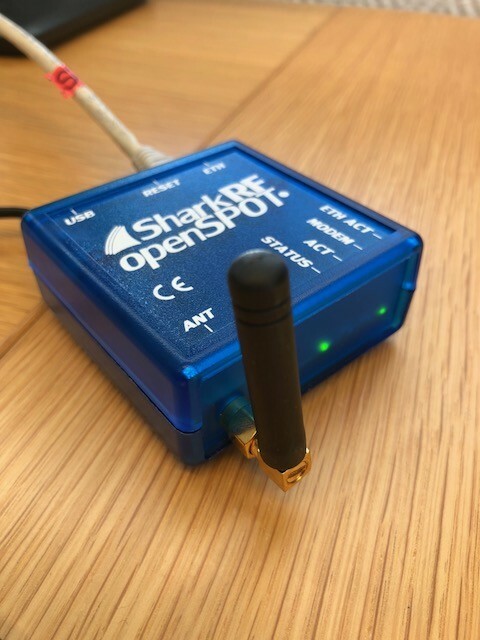 Such pings may be as short as a tenth of a second and carry enough information to complete at least one stage of a contact. FSK441 employs multi-frequency shift keying using four tones, at a data rate of 441 baud. Because of the choice of character codes in the protocol, it is self-synchronizing and does not require an explicit synchronization tone. FSK441 is generally used on the 2-meter and 70-centimeter amateur bands. Contacts may be made at almost any time (that is, a meteor shower is not required to be in progress) at distances of up to 1400 miles (2250 km). JT6M, introduced in late 2002, is intended for meteor scatter and other ionospheric scattering of signals, and is especially optimized for the 6-meter band. The mode also employs multiple frequency-shift keying, but at 44 tones. One of the tones is a synchronization tone, leaving 43 tones to carry data (one tone per character in the character set, which includes alphanumerics and some punctuation). The symbol rate is 21.53 baud; the actual data rate as encoded for transmit is 14.4 characters per second. The mode is known for sounding "a bit like piccolo music". JT65, developed and released in late 2003, is intended for extremely weak but slowly varying signals, such as those found on troposcatter or Earth-Moon-Earth (EME, or "moonbounce") paths. It can decode signals many decibels below the noise floor in a 2500 Hz band (note that SNR in a 2500 Hz band is approximately 28 dB lower than SNR in a 4 Hz band, which is closer to the channel bandwidth of an individual JT65 tone), and can often allow amateurs to successfully exchange contact information without signals being audible to the human ear. Like the other modes, multiple-frequency shift keying is employed; unlike the other modes, messages are transmitted as atomic units after being compressed and then encoded with a process known as forward error correction (or "FEC"). The FEC adds redundancy to the data, such that all of a message may be successfully recovered even if some bits are not received by the receiver. (The particular code used for JT65 is Reed-Solomon.) Because of this FEC process, messages are either decoded correctly or not decoded at all, with very high probability. After messages are encoded, they are transmitted using MFSK with 65 tones. 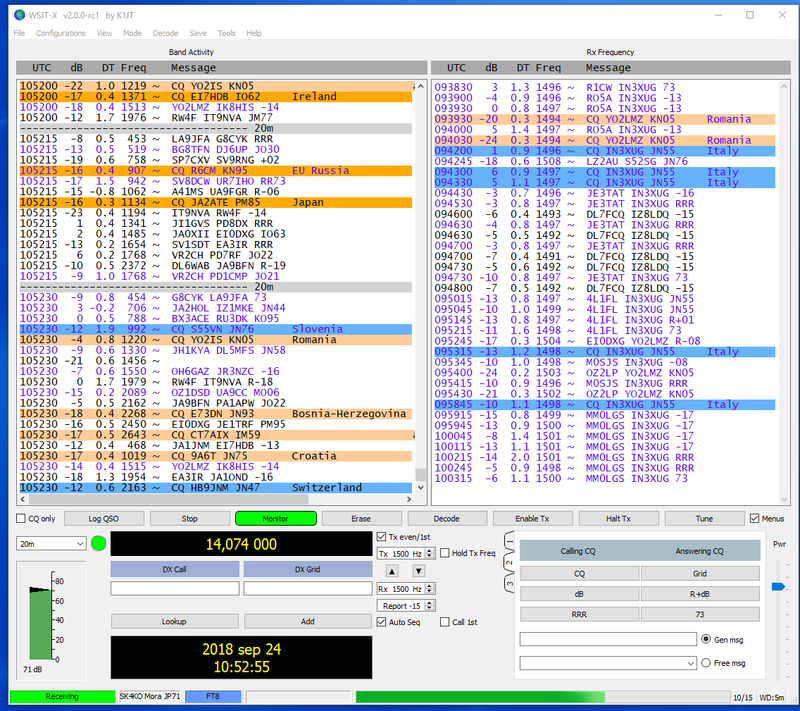 Operators have also begun using the JT65 mode for contacts on the HF bands, often using QRP (very low transmit power); while the mode was not originally intended for such use, its popularity has resulted in several new features being added to WSJT in order to facilitate HF operation. JT9, intended for MF and HF use, was introduced in an experimental version of WSJT, known as WSJT-X. It uses the same logical encoding as JT65, but modulates to a 9-FSK signal. With 1-minute transmission intervals, JT9 occupies less than 16 Hz bandwidth. JT9 also has versions designed for longer transmission intervals of 2 minutes, 5 minutes, 10 minutes or 30 minutes. These extended versions take increasingly less bandwidth and permit reception of even weaker signals. Joe Taylor, K1JT, announced on June 29, 2017 the availability of a new mode in the WSJT-X software, FT8. FT8 stands for "Franke-Taylor design, 8-FSK modulation" and was created by Joe Taylor, K1JT and Steve Franke, K9AN. It is described as being designed for "multi-hop Es where signals may be weak and fading, openings may be short, and you want fast completion of reliable, confirmable QSO's". Compared to the so-called "slow modes" (JT9, JT65, QRA64), FT8 is a few decibels less sensitive, but allows completion of QSOs four times faster. Bandwidth is greater than JT9, but about one-quarter of JT65A and less than one-half of QRA64. 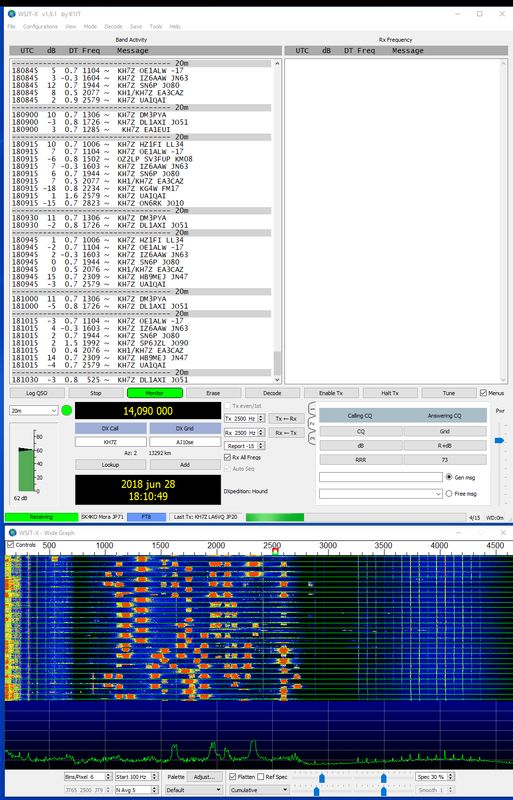 Compared with the "fast modes" (JT9E-H), FT8 is significantly more sensitive, has much narrower bandwidth, uses the vertical waterfall, and offers multi-decoding over the full displayed passband. 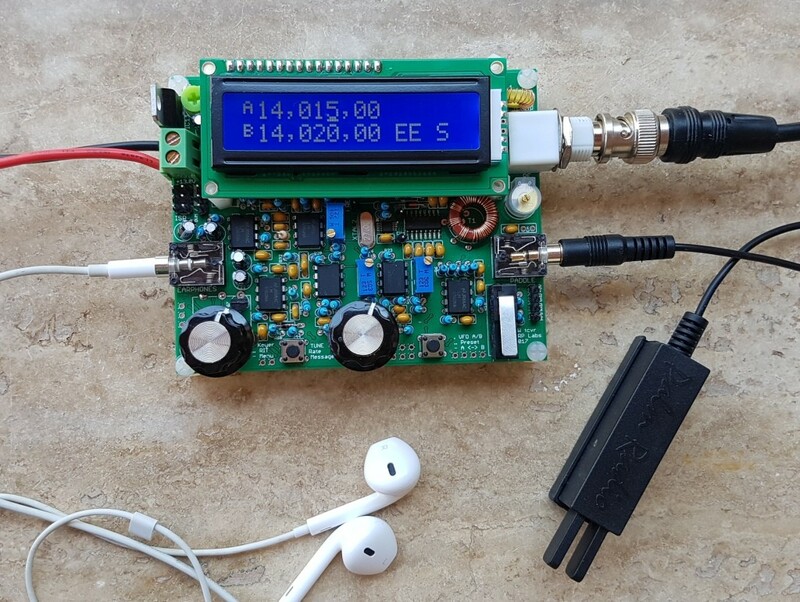 Features not yet implemented include signal subtraction, two-pass decoding, and use of a priori (already known) information as it accumulates during a QSO." 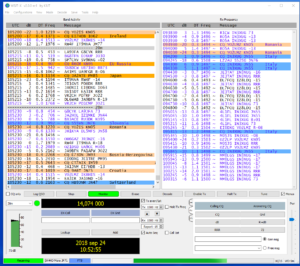 There are alternative software packages available for JT65 including MultiPSK (a commercial package developed by F6CTE), and JT65-HF HB9HQX Edition (a free software package forked from the JT65-HF project developed by W6CQZ). The JT65-HF HB9HQX Edition software, along with the source code, may be obtained from Sourceforge. An article series on using the original JT65-HF software appeared in CQ Amateur Radio's October & November 2010 issues. And MSHV  from LZ2HV recompiled from source code of WSJT-X with different GUI implementation both for Linux and Windows OS. ^ a b c d e f Joe Taylor, K1JT (2006-08-10). "WSJT6 User Guide & Reference Manual" (PDF). ^ a b c d Joe Taylor, K1JT (August 25–27, 2006). Open Source WSJT: Status, Capabilities, and Future Evolution (PDF). 12th International EME Conference. Würzburg, Germany. ^ Joe Taylor, K1JT; Steve Franke, K9AN; Bill Sommerville, G4WJS (August 2017). "Work the World with WSJT-X. Part 2: Codes, modes and cooperative software development". RadCom. Radio Society of Great Britain. 93 (08): 58–59. ISSN 1367-1499. ^ a b Joseph H Taylor, Jr, K1JT. "WSJT User Guide". ^ a b K1JT. "WSJT-X User Guide". ^ a b Joe Taylor, K1JT (December 2001). "WSJT: New Software for VHF Meteor-Scatter Communication" (PDF). QST: 36–41. ^ Joe Taylor, K1JT (September–October 2005). "The JT65 Communications Protocol" (PDF). QEX: A Forum for Communications Experimenters: 3–12. ^ Steve Ford, WB8IMY (July 2007). "JT65A on the HF Bands". QST: 85. ^ "WSJT revision history and release notes". ^ Joe Taylor, K1JT; Steve Franke, K9AN; Bill Sommerville, G4WJS (July 2017). "Work the World with WSJT-X. Part 1: Operating capabilities". RadCom. Radio Society of Great Britain. 93 (07): 40–45. ISSN 1367-1499. 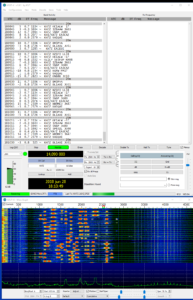 ^ "FT8 Mode is Latest Bright Shiny Object in Amateur Radio Digital World". American Radio Relay League (ARRL). 2017-08-01. ^ Joe Taylor, K1JT. "FT8". ^ "MultiPSK - Ham Radio Software from F6CTE". ^ "Google Group for JT65-HF HB9HQX Edition". ^ "Download site for JT65-HF HB9HQX Edition". ^ "MSHV Amateur Radio Software | LZ2HV Amateur Radio Website". lz2hv.org. Retrieved 2018-09-10. Get ready for 2m EME communications. A step by step beginners guide. JT65 frequency and JT65A frequencies for HF band DX information page; 30 metres, 20 metres, etc. Winlink, or formally, Winlink Global Radio Email (registered US Service Mark), also known as the Winlink 2000 Network, is a worldwide radio messaging system that uses amateur-band radio frequencies and government frequencies to provide radio interconnection services that include email with attachments, position reporting, weather bulletins, emergency and relief communications, and message relay. The system is built and administered by volunteers and is financially supported by the Amateur Radio Safety Foundation Inc., an American public-benefit entity and 501(c)(3) non-profit organization. Winlink networking started by providing interconnection services for amateur radio (also known as ham radio). It is well known for its central role in emergency and contingency communications worldwide. The system used to run several central message servers around the world for redundancy, but in 2017-2018 upgraded to Amazon Web Services that provides a geographically-redundant cluster of virtual servers with dynamic load balancers and global content-distribution. A subset of HF (High-Frequency: generally 3 MHz to 30 MHz) gateway stations have operated since 2013 as the Winlink Hybrid Network, offering message forwarding and delivery through a mesh-like smart network whenever internet connections are damaged or inoperable. During the late 1990's and late 2000's, it increasingly became what is now the standard network system for amateur radio email worldwide. Additionally, in response to needs for better disaster response communications in the mid to later part of the 2000's, the network has been expanded to provide separate parallel radio email networking systems for MARS, UK Cadet, Austrian Red Cross, the US Department of Homeland Security SHARES HF Program, and other communities. Amateur radio users in each country follow the appropriate regulatory guidelines for their license. Some countries may limit or regulate types of amateur messaging (such as email) by content, origination location, end destination, or license class of the operator. Origination of third party messages (messages sent on behalf of, or sent to, an end destination who is not an amateur operator) may also be regulated in some countries; those that limit such third party messages normally have exceptions for emergency communications. In accordance with long standing amateur radio tradition, international guidelines and FCC rules section 97.113, hams using the Winlink system are advised that it is not appropriate to use it for business communications. The Winlink system is open to properly licensed amateur radio operators. The system primarily serves radio users without normal access to the internet, government and non-government public service organizations, medical and humanitarian non-profits, and emergency communications organizations. Duly authorized MARS operators may utilize the MARS part of the system. As of July 2008, there were approximately 12,000 radio users and approximately 100,000 internet correspondents. Monthly traffic volume averages over 100,000 messages. PACTOR-I, WINMOR, ARDOP, HSMM (WiFi), AX.25 packet, D-Star, TCP/IP, and ALE are non-proprietary protocols used in various RF applications to access the Winlink network systems. Later versions of PACTOR are proprietary and supported only by commercially available modems from Special Communications Systems GmbH. In amateur radio service, AirMail, Winlink Express, and other email client programs used by the Winlink system, disable the proprietary compression technology for PACTOR-II, PACTOR-III, and PACTOR-IV modems and instead relies on the open FBB protocol, also widely used worldwide by packet radio BBS forwarding systems. In May 1995, the American Radio Relay League privately asked the FCC to change Part 97.309(a) to allow fully documented G-TOR, Clover, and original open source PacTOR (Pactor I) modes. The FCC granted this request in DA-95-2106 based on the ARRL's representation that it had worked with developers to ensure complete technical documentation of these codes were available to all amateur radio operators. However, subsequent versions of Pactor contained proprietary compression algorithms that prevent over-the-air-intercept. In 2007, a US amateur radio operator filed a formal petition with the Federal Communications Commission (FCC) aimed at reducing the signal bandwidth in automatic operation subbands; but, in May 2008 FCC ruled against the petition. In the Official Order, FCC said, "Additionally, we believe that amending the amateur service rules to limit the ability of amateur stations to experiment with various communications technologies or otherwise impeding their ability to advance the radio art would be inconsistent with the definition and purpose of the amateur service. Moreover, we do not believe that changing the rules to prohibit a communications technology currently in use is in the public interest." In 2013, the FCC ruled in Report and Order 13-1918 against the use of encryption in the US amateur radio bands for any purpose, including emergency communications. The FCC cited the need for all amateur radio communications to be open and unobscured, to uphold the Commission's long-standing requirement that the service be able to self-police itself. In spite of FCC rulings DA 95-2106 and DA 13-1918, Winlink advocates continue to use the proprietary versions of Pactor and other undocumented data formats that cannot be eavesdropped, and continue to press the FCC for encrypted data transmissions in amateur radio, as exemplified in a Winlink petition to the FCC for legalized encryption of the US amateur spectrum while seeking broader spectrum allocations in response to the Puerto Rico hurricanes of 2017. The Board of Directors of the Amateur Radio Safety Foundation, Inc. has written FCC Chairman Ajit Pai, other Federal Communications Commission members, and FCC administrators to correct inaccuracies in opponents claims. ^ "Amateur Radio Safety Foundation, Inc". ARSFI.org. ^ "Home - Navy Mars" (PDF). Navy Mars. Retrieved 4 April 2018. ^ "Winlink System Traffic". Winlink.org. ^ "FCC Order DA 95-2106" (PDF). ^ "Public Comment by W4RUS". ^ "FCC Petition RM-11392" (PDF). US Government Federal Communications Commission FCC. ^ a b c "DA-08-1082A1" (DOC). US Government Federal Communications Commission FCC. ^ "DA 13-1918" (PDF). US Government Federal Communications Commission (FCC). ^ "Public Comments in PSHSB 17-344 by Steve Waterman" (PDF). US Government Federal Communications Commission (FCC). ^ ""Rappaport Suggests National Security Risks with Amateur Radio Violations," Nov. 21, 2018". ^ "Ex Parte Comments of W. Lee McVey, P.E., to FCC's Scot Stone, Nov. 12,2018" (PDF). ^ "Ex Parte Comments of W. Lee McVey, P.E., to FCC's Scot Stone, WTB, Dec. 17,2018" (PDF). ^ "Ex Parte Statement by Ron Kolarik, Dec. 31, 2018" (PDF). ^ "Ex Parte Comments of Janis Carlson to FCC Commissioners, Dec. 5, 2018" (PDF). Josuweit, Robert (January 2006). "Hams to The Rescue!". Conformity. Retrieved 2008-03-24. Arland, Rich (February 2006). "It's More Than Ham Radio Volunteers!". Popular Communications. "A Failure of Initiative: The Final Report of the Select Bipartisan Committee to Investigate the Preparation for and Response to Hurricane Katrina". February 2006. Retrieved 2008-03-24. Josuweit, Robert (May 2006). "High Level Recognition for Hams". CQ Amateur Radio. "FCC Petition RM-11392" (PDF). US Government Federal Communications Commission FCC. "DA-08-1082A1" (DOC). US Government Federal Communications Commission FCC. Josuweit, Robert (March 2005). "Tsumnami!". CQ Amateur Radio. Linden, Lou (December 2004). "Winlink 2000 In The Jungle". QST. Her er litt informasjon og noen tanker rundt C4FM.